3/4 length pants, technical base layer sports apparel. Short cut. Specially designed for goalkeepers (boys) and for football. Ideal for any season of the year. Padding on the sides and on the back. Highly comfortable. Ergonomic fit. High breathability. Oeko Tex Standard 100 certified. Made of Ti-Energy fabric. The goalkeeper''s role is fundamental to win the match and to protect the results. Training is important as it helps to get ready for the toughest challenges. However, training alone is not enough: they also need to wear the correct apparel, so as to always be prepared to face any situation. The Ricky 3/4 length pants are part of the sports technical base layer line by Erreà for goalkeepers, specially designed with one aim in mind: to protect from falls and from impact with the ground, and to stimulate muscles in order to improve performance during matches. These 3/4 length pants are perfect for goalkeepers thanks to the highly technical fabrics they are made of, specially conceived to offer support and protection in all conditions. The padding on the sides and on the back also assure protection from impacts with the ground. 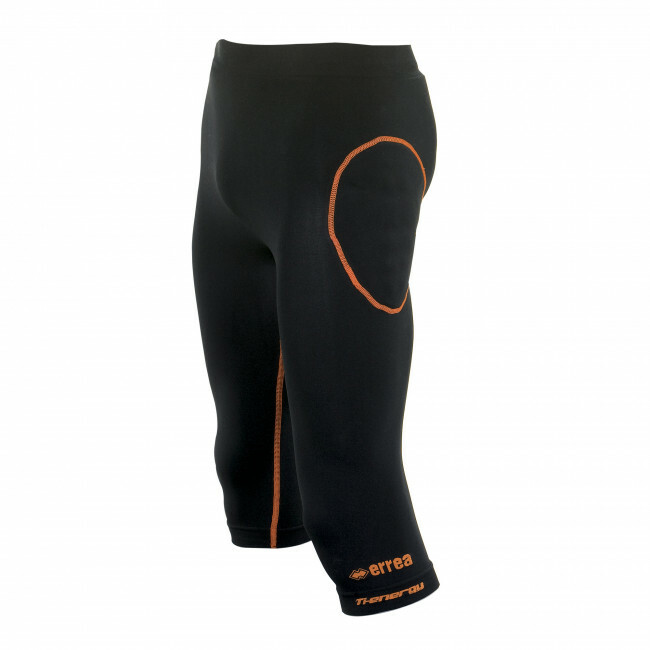 For the best experience ever, these 3/4 length goalkeeper pants are made of Ti-energy fabric: thanks to the use of silver and titanium nano-particles, this fabric is water-repellent, antibacterial, stain-resistant and it eases blood flow.